Beware! 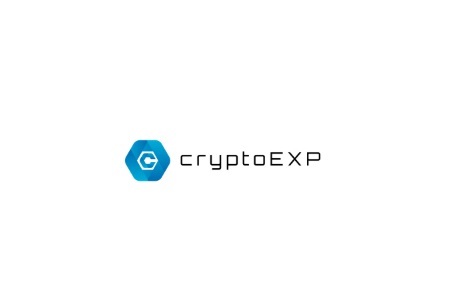 CryptoExp is an offshore broker! Your investment may be at risk. CryptoExp is a unregulated CFD broker based in Bulgaria, which is blacklisted by the Financial Conduct Authority (FCA) in the UK for targeting customers without authorization. Otherwise the broker is focused on the crypto market featuring trade with crypto coins like Bitcoin, Ethereum, Ethereum Classic, Dash, Monero and Gnosis with leverage of up to 40:1, a web based platform and 5 account types. As we noted the broker is not regulated and that is a major issue, which we will discuss in detail in the following paragraphs. CryptoExp is owned and operated by O. M. G. Markets Limited, which has a contact address in Bulgaria. Unfortunately neither the broker nor the company behind it is regulated, as they should be on the European market (Bulgaria is an EU country). Also, as we already noted CryptoExp is in the spotlight of an ongoing investigation by the Financial Conduct Authority (FCA) in the UK. Bear in mind that trading with unregulated brokers is extremely risky and has always been associated with scam scenarios. On the other hand if you chose to trade with a broker, licensed by one of the well known regulators on the market such as the Financial Conduct Authority (FCA) in the UK, the Cyprus Securities and Exchange Commission (CySEC) or the Australian Securities and Investments Commission (ASIC) you will not have to worry about the security of your funds. On top of that with a FCA regulated broker you will even get an account insurance for up to 85 000 GBP. CryptoExp says to be accepting lots of different payment methods including e-wallets like Skrill, Neteller, WebMoney, CaroPay, SOFORT and QIWI. In reality however, after we filled a registration form, the only available payment methods turned out to be VISA, MasterCard and bank wire. On top of that the minimum deposit requirement is set to be as high as 5000 USD. That however is not the main problem with the broker, but the rather unusual withdraw conditions we encountered in their Terms and Conditions. For example if you have not traded at least 1% of your deposit in standard lots, you will be charged at least 4,5% fee on the amount you have requested to withdraw. And here we are not even talking about trading bonuses, which usually come with such additional withdraw conditions. For example, if you have deposited 5000 USD as is the minimum deposit requirement with CryptoExp, you will be charged that 4,5 % withdraw fee unless you have traded 50 standard lots or 5 million USD. This is simply ridiculous. With all that, there is no need to comment the CryptoExp trading bonus policy. Just have in mind that if you accept any kind of a trading bonus, you will also have to meet additional withdraw conditions in the form of some minimum trade volume requirement. Currently social networks like Instagram and Facebook are some of the main channels scammers use to target new victims. And they also use the so called robo scam websites like Crypto Revolt and Bitcoin Evolution, which if you happen to visit, will greet you with some unrealistic offer for fast and easy returns in exchange of a minimal and “completely risk free” investment. And all you will have to do in the beginning will be to leave your e-mail and phone. That is how scam stories usually start. Afterwards, if you fill the simple registration form you will be instantly transferred to the web page of unregulated, offshore broker, where finally you will be asked for your first deposit of about 250 USD. Besides, do not be surprised by how successful your first trades will be. After all you are trading with scammers whose sole idea is how to get you to deposit a larger amount. And no doubt, you will be getting phone calls as well – it will be your “senior account manager” with the latest trading signals and tips, but basically his or hers base idea will be to make you to deposit at least 10 000 USD. And at that point most people do invest that kind of money without ever realizing they have been scammed until the very moment they decide to withdraw some of their cash. Then all of a sudden it turns out they can not, because of some minimum trade volume requirement, most probably linked to the welcoming bonus they have accepted. The excuse to cancel your withdraw request might certainly be different, but the main point will always be the same – scammers will not give you a single dollar back. The only chance you have to get your deposit back is by filling for a charge back with your credit card company. Fortunately both VISA and MasterCard now allow you to do that within 540 days and that is good news. And if somehow scammers have managed to get to your banking details, immediately change your password and cancel your credit card. Finally in case you are approached by the so called recovery agencies, do not trust them. They will not help you in any way, but will simply charge you some fees in advance, basically scamming you a second time.